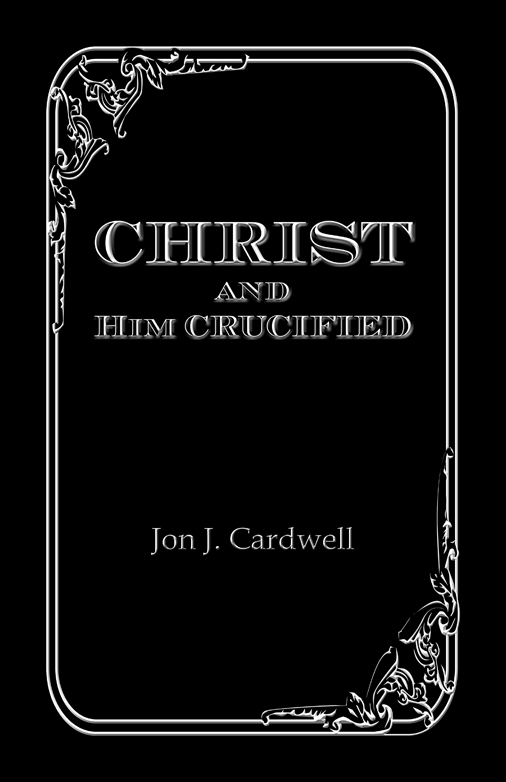 Today, I have the privilege of interviewing Pastor Jon Cardwell, whose latest book Christ and Him Crucified I recently reviewed. Born in San Diego, Cardwell now resides in Anniston, AL with his wife, Lisa, and his daughter, Rachel. 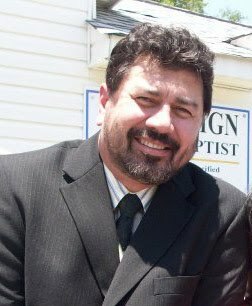 He is the pastor at Sovereign Grace Baptist Church in Anniston, and has previously ministered as a missionary and as a missionary-pastor in the Philippines, California, and remote bush Alaska. He is also the founder of Vayahiy Press and has published several books, including Essential Spurgeon, A Puritan Family Devotional, and the satirical Against Calvinism. He writes regularly on his personal blog, Justification By Grace. 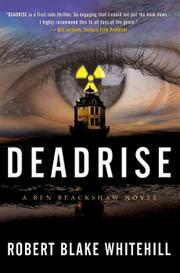 Cardwell has generously offered to give away 2 copies of his book to the readers of this blog. Leave a comment if you would like your name to be entered in the drawing. To increase your chances, share this interview on your blog (or link to it on Twitter or Facebook), and let me know you have done so. I’ll enter your name for each “share”. The giveaway will close at 12pm MT on Friday, December 23rd. Two names will then be drawn, and the winners will each receive one copy of Christ and Him Crucified. So get started: enter yourself and spread the word! TIS: Can you tell us a little about yourself and how you came to the saving knowledge of Jesus Christ? JC: The basic portion of my testimony is posted on my blog; but here are some portions of my testimony that I’ve given in personal witness or the pulpit over the years, as there truly was an amazing work done by God back then. I wasn’t look for Christ or salvation when the gospel was coming to me as a 24-year-old U.S. Navy diver stationed onboard the USS McKee in San Diego, California. In the autumn of 1984, the Lord surrounding me with Christians and I summarily dismissed them for seven or eight months; yet, the Holy Spirit had been working on me the whole time to reprove me of sin, righteousness and judgment. There was a point somewhere just past the middle of that nine months that I tried to find loopholes in what these guys witnessed to prove them wrong. Unable to do that, I tried walking in my own righteousness but could not. The more of God’s truth came to me by these brothers, the worse my condition got. The more I told myself I wouldn’t go to their Bible studies when invited, I found myself attending more and more. Even without denying God, I didn’t confess Christ Jesus, and that made me as lost as Satan himself. In that ninth month I was under such conviction of the Spirit that I even cried out to God, “Unless you change something in me so I could repent, you may as well kill me now and send me to hell.” I remember that was a Friday night after a particular Bible study that a couple of the guys had on the ship. That was the longest, most miserable weekend of my life, as I recall. The following Monday, I found Vincent Lawrence a little after eight o’clock in the morning. As God’s good providence would have it, Vince wanted to be a diver so he worked in our division; and therefore, was assigned as a berthing compartment cleaner so I would know exactly where to find him on June 3, 1985 (Vince cleaned the place where we slept while living onboard the ship). We knelt together and he told me to repeat a prayer after him. I suppose I said some words because he never stopped me, because I never heard a word of Vince’s prayer. All I knew while my eyes were closed was that a flood of witness came to me of Christ’s atoning death, His sufficient substitute, His deity as the Son of God, His blood shed for the forgiveness of my sins, His wrath suffered for the penalty I owed unto God, His rising again after three days; and then I realized I could repent and trust in Him. I was saved. I knew it. I knew I was going to spend the rest of my life and all of eternity with Christ. Then I heard Vince say, “Amen.” I said amen too, opened my eyes and saw Vince smiling at me with a tear in his eye. There’s much more to the episode, but that was basically what happened. TIS: In 1 Corinthians 2:2, Paul writes, “For I determined not to know any thing among you, save Jesus Christ, and him crucified.” Why is it so vital for Christians to have a firm grasp of this truth? “Jesus Christ, and him crucified” is the gospel condensed in a phrase. It contains in it the truth of the Son of God’s incarnation as the Seed of a virgin, His crucifixion as the sufficient Sacrifice, His resurrection as the eternal Son, His ascension as the King of glory, and His promised consummation as the returning Faithful Witness and Amen of God. All that we have is in Christ: in whom He is and all He has done, is doing, and will do. We have no access to heaven, no participation in God’s kingdom, and no inheritance in God’s glory, except we have it by, and in, and through Jesus Christ, and Him crucified. When we stray from the gospel truth of Christ crucified, we have nothing. Some want nothing to do with the gospel at all. Some tolerate the gospel, even like the gospel, but don’t love the gospel; neither have faith in its power, because they act like it needs help, or enhancement; that it needs something added to it because it’s not relevant enough, interesting enough, or entertaining enough; these know not the cross of Jesus Christ. Others want Christ, but they don’t want His bloody cross. TIS: When were you inspired to write a book on this subject? JC: I’ve been ministering as a gospel preacher for about eighteen years now: as a pastor, missionary, and as a missionary-pastor. Christ crucified, resurrected and returning in judgment has always overwhelmed me, and been a very important part of my ministry. When we left bush Alaska in January 2008 because of my ailments, I was having a conversation with a professing believer and the conversation soon made its way to the gospel. This part of the conversation impacted me greatly― I said, “The cross isn’t a way to get some place; it is the place we need to be.” His face grimaced and he disagreed. Now, here was someone whose confession of Jesus Christ I took at face value, who supposedly had been saved for quite a number of years, yet he misunderstood my expression as something other than another way to express 1 Corinthians 2:2. I knew something was completely out of whack, and that something must be done about it. It has taken over three years to get it off the ground, and for me to actually begin writing it. Christ and Him Crucified is the result of much prayer and meditation on God’s Word. TIS: Writing a book is generally a profound learning experience for the author. What did you learn through the writing and editing of your book? JC: Writing and editing a book like this, especially on this topic, showed me that it’s much like preaching the gospel as a street preacher. When I had a text that the Lord placed upon my heart to preach in open air, I worked on it, preached it, and preached it again; each time getting a bit better in my delivery. Things are expressed more clearly and the message is honed more precisely. It’s also like expository preaching from the pulpit each Sunday. Some saints will rejoice in what has been said; some are going to misunderstand what is said; some things will be said that my inadequate mind and my insufficient speech will certainly fail to proclaim properly. Additionally, as each Sunday is a different sermon, and we don’t have the luxury of honing the message through repetition as with some messages preached by itinerants; at some point the sermon must end, however inadequately expressed it may be. Likewise, with this book, there just comes a time in editing when one must concede that the message is more important than any punctuation missed or insufficiently expressed. In fact, if I have missed something in the editing, a misspelled word, a misplaced comma, etc., isn’t that similar to our proclaiming the gospel truth of Christ crucified? We are merely earthen vessels, once fallen and redeemed by God’s grace, and have been given the privilege by God’s grace to possess the heavenly treasure of Christ and His gospel, and also to proclaim that gospel. There is only One worthy to reveal the gospel truth, to open the seals on the blessed truth of God’s Word, and that is the Lamb slain from the foundation of the world. There is only One who can proclaim the gospel truth flawlessly, and that is He who knew no sin, Jesus Christ the Righteous. TIS: What was the most difficult part of writing “Christ and Him Crucified”? JC: In many ways, writing of the crucified Christ is kind of a “fool’s errand,” a “snipe hunt,” a “wild goose chase.” The entire Bible from Genesis 1:1 to Revelation 22:21 is about the person and work of Jesus Christ. It’s all about Him; and we have no access to the scriptures, no interpretation of the scriptures, and no application in the scriptures unless the whole of its message is centered in the Redemption, viewed through the Redemption, and glorifying God by the Redemption. Therefore, to write about the truth of Christ and Him crucified is like trying to explain the entirety of eternal and infinite truth. This, I believe, is one of the things that John meant to be understood when He said, “And there are also many other things which Jesus did, the which, if they should be written every one, I suppose that even the world itself could not contain the books that should be written” (Jn 21:25). That was the most difficult thing: realizing that I will never do justice to the proclamation of the gospel truth in this book, yet, having to proclaim its truth anyway because it’s so vitally important. At times I felt like Moses, “O my Lord, I am not eloquent… but I am slow of speech, and of a slow tongue” (Ex 4:10). TIS: In Chapter VII, you refer extensively to several of John Bunyan’s works. In what ways did he influence the writing of your book? JC: Mr. Bunyan has been my very good friend and constant companion since about late 1986 to early ’87. The Pilgrim’s Progress was one of the first books at that time that I really wanted to read very slowly, word for word, besides the Bible. (Back then I used to speed-read everything, especially technical manuals and operations manuals on topics directly related to or connected with U.S. Navy Diving and Salvage). Since those early days of my Christianity I had read every one of his known works at least once; and have read The Pilgrim’s Progress at least once or twice per year since first opening that beloved allegory. I suppose what makes Mr. Bunyan’s work stand out, in my humble opinion, is his very direct, yet inviting manner of discourse and exposition. He’s quite different from many of the other Puritan writers. Some of his contemporaries have written page upon page on doctrinal issues that Mr. Bunyan has condensed to paragraphs. There are other writers that are as direct and simple in presentation, but some of them, seem rather cold and academic compared to Bunyan— now that’s just me; to me, John Bunyan’s work is engaging, as if he pleads with me to meditate upon the truths he discourses. I recommend all of his works, but if I were to single out a few treatises, must reads for the Christian minister as far as I’m concerned, they are: Christian Behaviour, Justification by an Imputed Righteousness, The Holy Life, and Christ as an Advocate Clearly Explained. Of course, among his allegories, The Pilgrim’s Progress and The Holy War are a tremendous blessing for every believer. TIS: Since 2006, you have been fighting an unidentified illness similar to ALS (or Lou Gehrig’s Disease). How has your own personal suffering impacted your understanding of Christ crucified? JC: I realize more than ever that this “light affliction, which is but for a moment, worketh for us a far more exceeding and eternal weight of glory” (2 Cor 4:17). To have been saved by God’s grace is a priceless possession, wherein the depth of the truth of Christ crucified brings to the heart the infinite importance of the Person of Christ and the proclamation of His gospel. The gospel is of infinite importance because you cannot divorce the gospel message from the Messiah of that gospel; you cannot put asunder the gospel light from Lord of the gospel; you cannot separate the gospel truth from He who is the Way, the Truth, and the Life. Certainly, Jesus Christ is all in all, and preeminent in all things; however, His gospel is far more important than my life and my salvation. My illness has helped me to more readily assess and prioritize the infinite importance of the gospel truth itself. The gospel is that precious. Job 13:15 says, “Though he slay me, yet will I trust in him: but I will maintain mine own ways before him.” Let me paraphrase that for my situation: “Even if Jesus Christ killed me and sent me to hell, that is nothing more than I deserve for the sins I’ve committed against Him, apart from God’s grace; nevertheless, I will trust Him, and continue to proclaim Christ, and Him crucified, because He is holy God, He is worthy to receive that praise, and because to proclaim Him and His gospel is what is true, honest, just, pure, lovely, and of good report. My ailments have allowed me to trust in Christ more thoroughly, rely upon Him more earnestly, want Him more passionately, and love Him more deeply. TIS: What do you want your readers to take away from Christ and Him Crucified? JC: It is my deepest and most sincere desire that all the reader sees is Jesus Christ alone, in all He is and all He has done, is doing and will do; and in seeing Him, knowing Christ more intimately― solus Christus; and this, to the glory of God alone― soli Deo Gloria.